Foamy Ice Cream Soda recipe by Abiha Mirza at PakiRecipes.com. First of all put coffee, sugar and water in pot n let them heat n stir them until thicken. 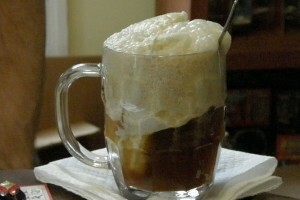 Take a big glass, put coffee paste in it and a scoops of ice cream and soda. ENJOY!!!!!! !